This is outrageous! 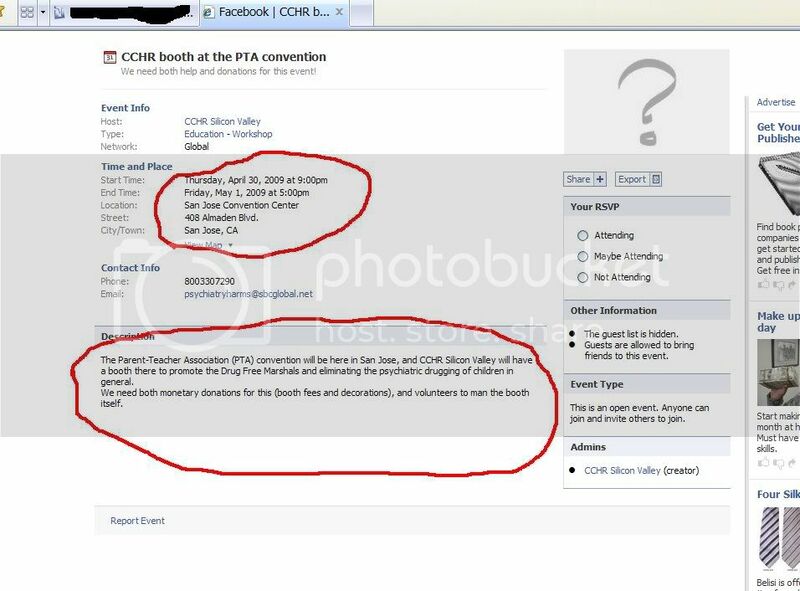 The notorious Scientology criminals are trying to infiltrate the PTA -- the Parents Teachers Association! Scientology... The criminal enterprise that attempted to disrupt relief efforts in New York in the aftermath of the September 11'th terrorist attacks, the same cult that has started claiming that the mental health industry is responsible for September 11'th. The Scientology crooks will try to sneak in under their fake name "Citizens Commission on Human Rights" and no where will the insane crooks mention the fact that they are actually Scientology!